I can’t remember if I was first given my Vic 20 with 3.5K memory and a 16K RAM pack, but it was probably 1983, when the BBC then followed up with Making the Most of the Micro. All good clean nerdy fun, and it is quite nostalgic looking back at what is now both hideously out of date, but also in some funny kind of way still relevant, as we head into a new paradigm shift, a new turning point, this time not just computational, but connected. 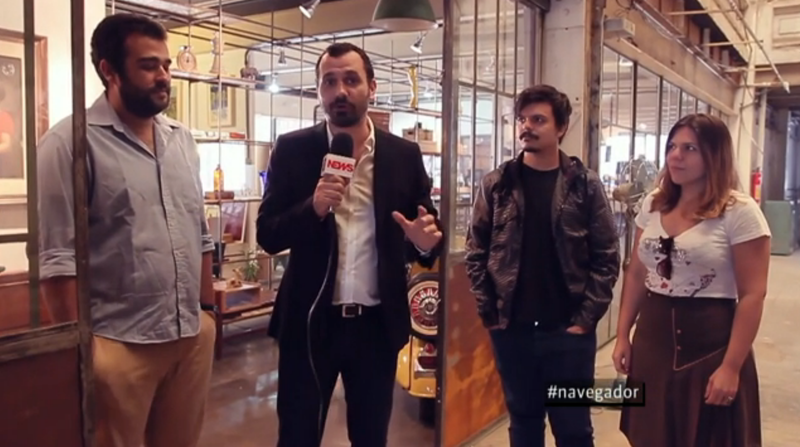 Which brings me to 2014 and Brazil, where there is a new-ish tech show on Globo called Navegador (which translates as navigator and browser), presented by the excellent Ronaldo Lemos, José Marcelo Zacchi, Alê Youssef and Hermano Vianna. These guys sit around a hi-res table discussing a number of technology-related projects, initiatives and sites as well as discussing new ideas in business, culture, science, technology and the environment, such as last week’s feature on the circular economy. 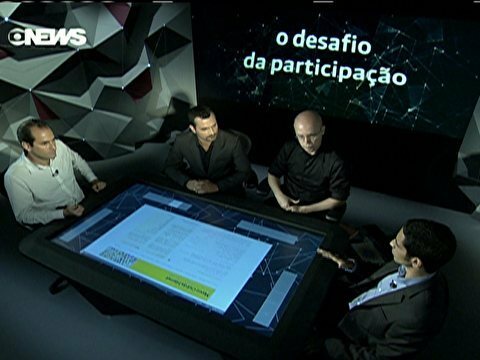 The show is broadcast at 8.00pm, primetime, which means it is an extremely important showcase for many of the excellent, innovative and important initiatives which are happening all around Brazil. This week there was a report about the renovation of an old chocolate factory, which has now become a hive of creativity for entrepreneurs, artists and young innovators. In my little neck of the woods in São Paulo, there are a huge number of derelict factories which would be amazing if renovated into tech-hubs for creative innovators. It would be amazing to have something like this. You know what. I still go to lots of meetings, workshops and presentations where someone will put up a lot of slides saying how behind Brazil is in terms of innovation, and there will be graphs showing the UK, Sweden, the US, Japan and all the other countries leading the way. Well I’m bored of this. These presentations teach me nothing about what my contribution could be to help develop, improve and put Brazil on the map. They also don’t reflect my own experiences here, where I see a hot bed of creativity and start-ups and a right old mish mash of something rather wonderful which is starting to emerge. The rest of the world would do well to start paying attention. That is why Navigador is so important. Brazil doesn’t need more news reports of kids who have slept three weeks out on the streets waiting for the new iPhone, Xbox or Playstation. We need to be celebrating all that is excellent here, and showcasing it on primetime. The Navigador team ensure that there are many communication paths open to them to allow people to submit their own projects and initiatives, and that’s brilliant.